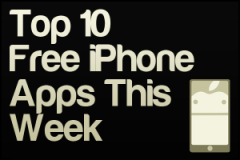 Here is our countdown of the Top 10 Free iPhone Apps of the Week. Don’t let these gems pass you by. Save your money, and go free! The Room for iPhone is a Free-To-Try app – you can play the first level for free and if you like it, a one-off fee will unlock the rest of the game. If you’re reading this, then it worked. I only hope you can still forgive me. We’ve never seen eye to eye on my research, but you must put such things behind you. You are the only one to whom I can turn. You must come at once, for we are all in great peril. I trust you remember the house? My study is the highest room. * Unsettlingly realistic graphics: The most natural looking visuals ever seen on a mobile device. * Spine-tingling single finger controls: touch controls so natural you can play with one digit, to fully navigate this mysteriously beautiful 3D world. * Fantastical pick-up-and-play design: Easy to start, hard to put down, the secrets of The Room will immerse you before you even know you’re playing. * Compelling layers of mystery: think you know what you’re looking at? Think again. Turn your life into a music video. Get the Stone Filter FREE for a limited time – Sponsored by APPODAY (Save $2.99). Download APPODAY to get more great deals like this for FREE. With the tap of your finger, transform simple videos into beautiful vignettes, viral vids, or touching holiday greetings that your friends and family will love. Advanced audio filters automatically compose music to match your video. With over 20 different visual and audio styles, from simple background melodies to outrageous remixes, you will create a unique experience every time. Share your videos with your friends, and follow creative people from all over the world. Each day, discover inspiring new videos from the Strum community. Share the moments of your life like never before. 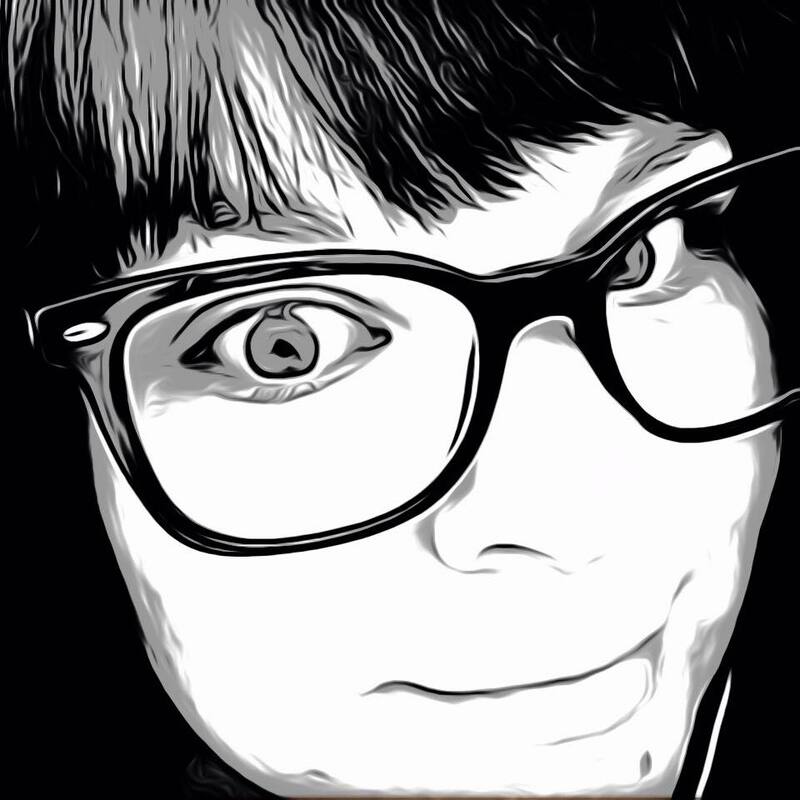 ❋ Super simple – just record a 15-second clip and select your filter. ❋ Stylistic filters include unique visual and audio effects that have been designed together, to add a cinematic ambiance to your video. ❋ Filters include: Flow, Reverb, Stone, Angels, Century, Unplugged, Whole Wheat, First Kiss, BonFire, Spacer, Museless, Burgers – new filters added frequently! ❋ Find and follow friends within the community and from other social networks. ❋ Love and comment on videos you enjoy. ❋ Easy sharing to Facebook, Twitter, Email, and SMS. ❋ Import videos from your camera roll and re-Strum a video in different styles. ❋ Buffered video processing allows you to preview your filter selection almost instantaneously. ❋ And much, much more! Check back frequently for new and limited-time filters! Questions? Write support@smule.com, find us on YouTube (www.youtube.com/smule), Twitter (@smule) or Google+! Download the SPIKE TV Video Game Awards’ “Social Game of the Year” to your iPhone® or iPad®. YOU DON’T KNOW JACK is the #1 game in the world that contains both fart noises and trivia about Shakespeare. This free-to-play mobile version includes hundreds of full episodes of everybody’s favorite quiz show trivia game, with new, topical episodes added every week! To succeed at YOU DON’T KNOW JACK, you’ve got to be smart and you’ve got to be quick. Are you up for the challenge? – Play against friends, enemies, or random strangers! – Unlock fake sponsors and commercials! – Earn special achievements and more! Play with sounds and create your own band! Rock out with Toca Band! Toca Band is getting ready for their big concert and needs your help to mix beats and sounds together for their hit song! Toca Band is a fun and easy toy that encourages children to explore music in a new creative way! Choose from 16 different cool characters – each with their own unique quirky sound and musical rhythms. Put your band members on stage to get the music started – then move them around and see what happens! Try out new band combinations, explore different sounds – and while you’re at it, why not give the lovable rapper, Stikk Figga something he always dreamed of: a solo performance! With Toca Band you can play together with your kids and experiment with sounds, beats and rhythms in lots of fun ways. Guitar or opera, upbeat or downtempo, let’s find out what sounds best together! √ Background music, animation and fun sound effects. √ 16 colorful characters, each with their own unique sounds and moves! √ No rules or stress – play any way your kids want to! Toca Band is not a game – it’s a toy where you and your kids get to explore music together. Oh, and don’t forget to let your kids make some noise of their own too! As with all Toca Boca toys, there are no high scores, time limits or stress. Your kids can play with it however they want! Toca Band is suitable for kids between 2-9 years old. Toca Boca is an award winning game studio that makes digital toys for kids. We think playing and having fun is the best way to learn about the world. Therefore we make digital toys and games that help stimulate the imagination, and that you can play together with your kids. Best of all – we do it in a safe way without third-party advertising or in-app purchases. Frequency is optimized for the larger screen on iPhone 5, and is amazing on iPad and iPad Mini. Frequency organizes videos from across the internet into continuously updating channels, creating a simple interface for “lean back” viewing. You can create your own channel lineup from the thousands of choices in the Guide and add them to your personal Tuner. Take your Tuner with you and access it from anywhere – on your computer, iPad, iPhone or on your Apple TV using AirPlay. Frequency is perfect for real-time news, indie movies, episodic video series, TV highlights, web-based TV shows, movie trailers, video clips, sports highlights, YouTube videos, and music videos. If you are looking for free feature-length movies and free network TV shows, please download those directly from iTunes. NOTE: Video quality is adjustable in app settings; streaming video generally requires a high-speed internet connection. ★ Now available for iPhone – optimized for iPhone 5 and iOS 6. Find words, steal tiles, color the board! Letterpress is a fresh new word game for iPhone, iPad, and iPod touch. Play against your friends using Game Center! The perfect blend of fun and strategy. Follow on Twitter at @atebits and @letterpressapp. – Option to silence sounds. FYI I worked really hard on those sounds. No, no, go ahead, turn off the sounds if you want. – Added words to the dictionary (and removed a few goofs). – Fixed “Tell a Friend” via Facebook. People use Facebook? – Clearer instructions. Yes, days of the week are proper nouns. No, they are not allowed. – Handle servers errors a bit better. CROSS YOUR FINGERS THAT’S SOME GNARLY CODE. – Less bugs! Not that I’m saying there were any bugs before. But there are definitely fewer now. – Fixed syncing deleted games across devices. – Tiles are now tappier when you tap tiles fast. Tap tappity tap tap. – Send Game Center friend requests right from the app! Holy moly! So cool! Friend your friends with the friendlier friender! – In-app purchases are less forgetful. – Does anybody read these? Helloooooo? Get the power of the world’s largest photo-sharing site in the palm of your hand! – Capture and create stunning photos: Take photos with the app’s easy-to-use camera and make them your own with all new filters, editing features, and geo-tagging. – Share your photos with anyone, anywhere: Instantly share with your Flickr groups and Facebook, Twitter, Tumblr or email contacts. You pick. – Discover the world through photos: The most interesting images in the world live on Flickr. Rediscover the world and be inspired by the Flickr community of photo hobbyists. – Experience high-quality, high-resolution photos: Flickr maintains the original quality of your photos so they look as crisp and stunning as the moment you snapped the photo. Your photos always look better on Flickr! ✓ Access your Flickr photos on any device – phone, tablet, computer and Apple TV! ✓ Connect with others around shared interests. Whether it’s food, travel, or anything else – Flickr has more than 1.6M groups, so there’s bound to be a Group that interests you! ✓ See recent photo activities from your friends and family. Make comments or mark them as favorites. Craftsy offers video-based, interactive online classes for quilting, knitting, sewing, cake decorating, jewelry making, food, photography, gardening, and other passions. With over 500,000 class enrollments, Craftsy is the leading source for online education for crafters worldwide. Craftsy has been featured on CNBC, The Washington Post, Mashable, Woman’s World and The Better Show. And now the Craftsy App brings the Craftsy class experience to your iPad and iPhone. Even better than a live class: Craftsy classes give you hours of professionally designed video content to watch whenever you have time. Learn one-on-one from the world’s experts in sewing, quilting, cake decorating, and more. More than just videos: The Craftsy educational platform provides a rich, rewarding learning experience. Take video notes as you go along, repeat trouble spots until you get them right, and access detailed written materials. Join the community: Ask questions and get feedback in our interactive classroom from thousands of fellow students, as well as your instructor. Watch on the go: Craftsy classes are available anywhere you have an internet connection. Do you have an idea that would make this app even better? Tell us, we listen! Craftsy is now available for iPhone and iPod Touch. Reached Tier 5? Now get ready to Race the World! Win unique super cars and decals, earn Respect points from your peers, and take on the best in the sun-drenched beachside drag strip. You may have beaten the city, but now it’s time to take on the world! Featuring a breakthrough in graphics fidelity, CSR Racing smashes the barriers between consoles and your iPhone or iPad. Full retina resolution and next-gen lighting combine to beat any 1080p console racing game on the market. Officially licensed cars from Audi, BMW, Chevrolet, Ford, GM, Mini and Nissan; incl. Audi R8, Ford GT, Chevrolet Camaro, Nissan GT-R, BMW M3 and a few surprises! ✩ Now includes the Bentley Continental Supersports, Dodge Charger, SLR McLaren, and many more! R8 vs GT-R, Continental Supersports vs SLR McLaren. Your car against theirs. In a straight line. It’s about power, skill and tactics. Hit the right revs and let that turbo work. But deploy the nitrous at the wrong time, and you’re toast. Choose from turbos, engine stages, ECU tweaks, racing tires and much more to strategically upgrade your car to fit your driving style. But remember: no two cars are the same – don’t overload a RWD on skinny tires with power it can’t handle. Make a statement with custom license plates, custom paints and original custom decals. PLEASE NOTE! CSR Racing is free to play, but it contains items that can be purchased for real money. You can toggle these purchases on/off in the “Restrictions” menu on your device. Featuring all 32 official NFL teams, play the most addictive football game on mobile! NFL Flick Quarterback is the first game to put the guts and glory of offensive passing in your hands. Be the QB of your favorite team – pass to receivers, dodge defenders and make amazing trick shots. The incredible flick and ‘after-touch’ controls that have made users across the world love Flick Golf and Flick Soccer are now powering this awesome football-throwing experience. EVERYONE can play, but are you good enough to become a Hall of Famer? • Play during the day or night, and even take on the natural elements – can you stand up to the wind like the toughest of NFL QBs? • Stunningly Enhanced for iPhone 4s!